Yet another purchase from the big auction site. Oddly enough, seller had it listed under vintage clocks rather than watches. 10AX movement with Omega symbol, "AAA", 21 Jewels, Bulova Watch Co and USA. Yellow gold case with 10k rolled gold back and applied gold numerals. Purchased mainly for the attractive stepped case. Needs some work, and a new crystal. I would say it's an Attorney. The record linked above isn't really a watch record, it's just an advert and I don't think it should have been tagged as Emperor, I think it should also have been Attorney. 1943 Jefferson - yellow gold, unengraved bezel, 21 jewels, three larger "steps" on lugs"
maybe Attorney with swapped movement ?? Could you confirm the gold plating stated on the caseback: you mentioned 10k rolled gold plated, but when I zoom in on the photo above it appears to say gold filled. My mistake, it is gold filled. 1 and 2 use 17-jewel movements - not a match; #3 uses 21-jewel but has engraved bezel sides - not a match; that leaves 4-Emperor and 5-Jefferson. Both of those are yellow gold filled unengraved bezel. I see 3 steps for the Emperor not 4, and 3 steps for Jefferson. 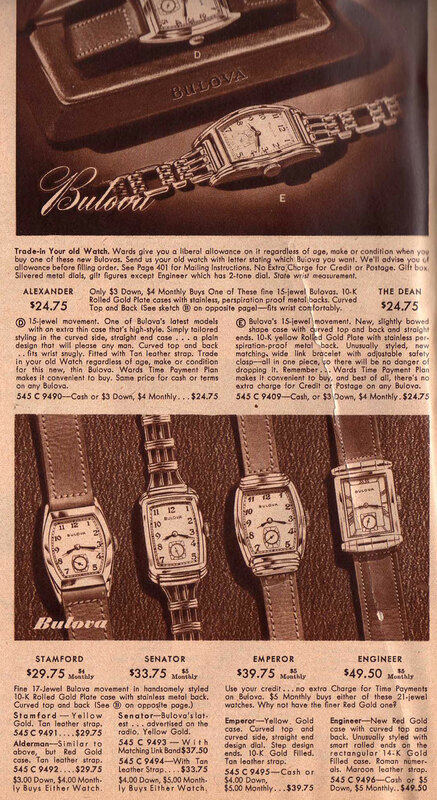 The Emperor is priced at 39.75 and jewel count is unknown, and came with a leather band. The Jefferson is priced at 42.50 and uses the 21-jewel and also came with a leather band. These both look similar to me, so the lower price could represent a lower jewel count movement. I'm going with Jefferson at this time as the match. 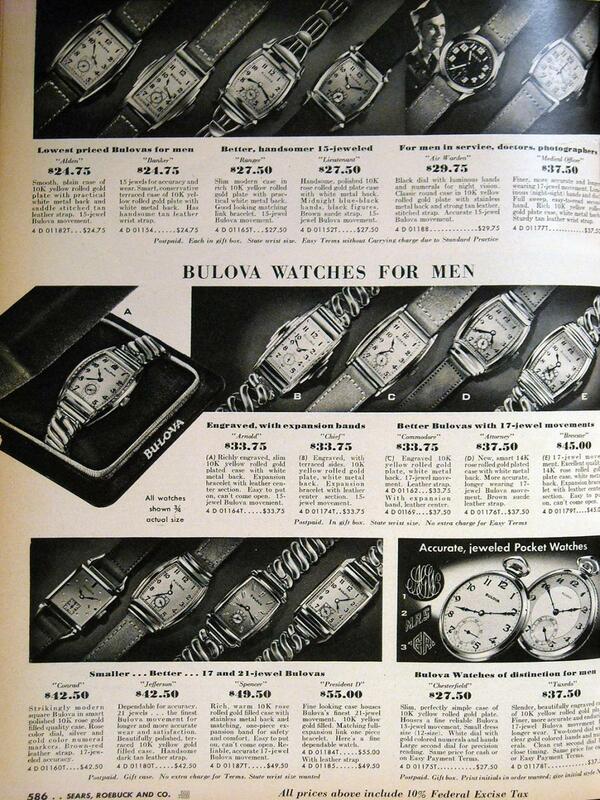 Agree with it being a 1940 Bulova Emperor as per the advert. I'd have to say Jefferson because of the steps on the case. Could it be that the 4th step is actually the spring bar pipe on the end of the bracelet?